The article below is a brief overview of the sport of rowing taken from Rowing Canada. 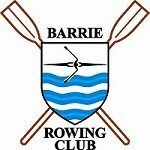 Once you’ve finished reading, click the button to the right to explore the exciting programs Barrie Rowing Club can offer you! the benefits to be obtained from hard work and self-discipline. Championship races are rowed over 2,000 metres (one mile, 427 yards) in six lanes which are straight and buoyed. There are up to four rounds – heats, repechages, semi-finals and finals. The repechage round is for losing crews in the heats, meaning that every crew that loses in a heat has a second chance before being eliminated. The draw is conducted round by round according to alternative and previously undisclosed systems. The first three crews in each semi-final compete in the A final, and the last three in each semi-final compete in the B final for places 7 to 12. Gold, silver and bronze medals are awarded for the first three crews to cross the line in the A final. Sprint Races – a full-speed sprint from start to finish. Often shorter distances. Head races – The distances vary, but are usually about 3.5 to 5 miles. The boats for competition were traditionally made from wood, but are mostly fabricated from carbon fibre and plastic (ie. Kevlar). Rowing shells are 0.280 metres to 0.590 metres wide and 8.280 metres to 17.600 metres long. A small fin is fitted at the bottom for stability. A rudder is attached to the fin or the stern (except for sculling boats). A white ball is attached to the bow (called a bow ball for safety measure, photofinish). A washboard prevents waves splashing aboard. Seats are fitted with wheels which slide on runners, or tracks. Oars are hollow to reduce weight, attached to the boat by adjustable out riggers. Size and shape of the oars is unrestricted, the average length of a sweep oar being 3.81 metres and of a scull being 2.98 metres. There are six Olympic types of boats, of which three are for sweep-oared rowing in which the rower uses one oar with both hands, and three are for sculling in which two oars are used, one in each hand. The sculling boats are single scull, double scull, and quadruple scull, the sweep oared events are straight pair, straight four and eight. In the eight there is a coxswain who sits in the stern or lies in the bow of the boat. The most consistent speed. Shells don’t move like a car — they’re slowest at the catch, quickest at the release. The good crews time the catch at just the right moment to maintain the speed of the shell. Rowing looks graceful, elegant and sometimes effortless when it’s done well. Don’t be fooled. Rowers haven’t been called the world’s most physically fit athletes for nothing. A 2,000-metre rowing race demands virtually everything a human being can physically bring to an athletic competition — aerobic ability, technical talent, exceptional mental discipline, ability to utilize oxygen efficiently and in huge amounts, balance, pain tolerance, and the ability to continue to work when the body is demanding that you stop. If a crew “catches a crab,” it means that the oar blade has entered the water at an angle instead of perpendicularly. The oar blade gets caught under the surface and will slow or even stop a shell. Crews are identified by their oar-blade design. It doesn’t matter whether you win an Olympic medal or don’t make the finals – each crew will carry their boat back to the rack.